PREVIOUSLY: Rep actress Diane Keaton is recruited to act as a honeypot double-agent and seduce a Palestinian bomber who listens to faux-Kraftwerk and looks weirdly like a young Lord John Marbury. Trauma ensues. CURRENTLY: This was the start of my serious relationship with Le Carré. Hot off of “discovering” Michelle Pfeiffer in Batman Returns, I went to my local video store, which had shelves dedicated to specific actors of note, and did a deep dive into the back catalogue of Ms. Pfeiffer, trying to figure out whether she was just a luminous pair of eyes that beamed directly into my adolescent heart, or if there were real acting chops there. My friends at the time said it was the former. They pointed at her stilted line delivery and her slightly lopsided duckface and they dismissed my film crush. And yes, perhaps if I had stopped at the haughty artificiality of The Age of Innocence and the choppy garishness of Married to the Mob, or if I had first been exposed to her during the warbling commercialism of Grease 2, I would have written her off. But it’s a mistake to confuse the limitations of casting directors with the limits of a performer’s range. And while Pfeiffer may have been assigned to a number of roles characterized by a kind of brittleness, she brought and brings human subtlety and curious languor to her parts as well. The showstopper for me was and is Dangerous Liaisons, but Russia House lags not far behind. Really, it’s a matter of mood. While it may come as some surprise at this point in this series of write-ups to say that any other film could be more cynical than the works of Le Carré, director Schepisi instead brings a lush romanticism to Russia House, transforming treason into an act of nobility that is, paradoxically, deserving of a sentence of life instead of death. Liaisons, on the other hand casts love, true love, as the incentive for death. Romance has rarely been bleaker (although I also saw Damage at about that same time, and that’d give Liaisons‘ bleakness a run for its proverbial money). which allowed me to bask in the memories of her face on the screen. The book fed my memories of the adaptation, and clips of key quotations from the film recorded to audiotape made the recollection of accompanying images remain strong. It all swirled together, the celebrity and the heroine, the idealism of the civilian characters and the cynicism of the author’s espionage proxies. And oh how many proxies there are. The cast blooms with character actors and “Hey, it’s that guy!” moments. Again, not so many with two X chromosomes, but classic, classy men of a certain age doing solid — and sometimes wonderful — work instilling functional roles with charisma and definition. The roles are almost entirely men at desks, men rifling through paper, men on the phone with other men. But the men are all actors who we know from the world, that we can hang other parts on, and so that we are charmed by, even if possibly in retrospect. While Scheider and Fox and Mahoney were all pretty well-established by this point, it’s fun to see who’s puttering around in the forefront of their careers. It’s fabulous to see Michael Kitchen here, playing an administrator too inexperienced to trust the powerless veteran naysayers around him. He is perhaps given the least to do amongst all of the That Guys, but he still manages to squeak in that teeth-sucking moment of introspection thing that he will use to such great effect in virtually every episode of Foyle’s War. Martin Clunes isn’t that far away from Men Behaving Badly, but David Threlfall still looks like Eric Idle’s younger, handsomer brother, and is miles away from Shameless. And this is all long, long before Nicholas Woodeson became bloody omnipresent. Schepisi seems to have encouraged his actors to spit and bite their words, even when lounging in an overstuffed couch. And sure, this is an elementary life-saving practice to give a movie some energy when the majority of scenes are all talk, talk, talk. But what’s interesting is that he favors two-shots, three-shots, and wide shots crammed full of secretaries and underlings and functionaries in addition to the squintillion character actors draped around the place. The camera is regularly trained on two or more faces who are in the scene, but don’t have anything to say at this particular moment. And so they’re eternally emoting and reacting, squinting and pursing their lips, and listening and being. Rarely is this distracting, never does it strike me as actorly or a person trying to steal the moment. But it is performance, and it makes me wonder about Schepisi’s larger body of work and reputation. Is he thought of as an actor’s director? The man who brought us the “A dingo ayte my baibee!” moment? Was he respected by his peers? After all, he got legendary psychedelic director Ken Russell to be a bit part in his movie. 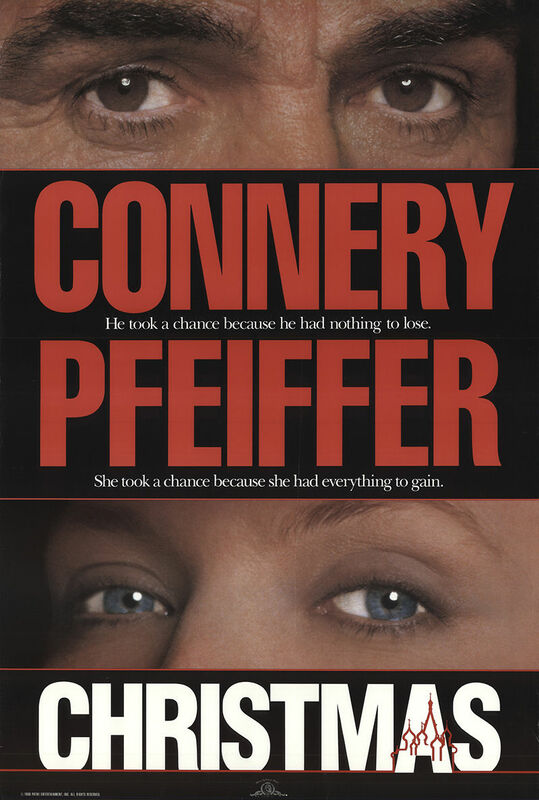 Surely there’s five minutes of a fascinating commentary track about that, let alone an entry in a fun Tumblr account of directors making cameos in other people’s films — in which the Pfeiffer vehicle Into The Night would feature prominently. Regardless of my speculations as to his reputation, Schepisi here has established a film about internal internal emotions, where the audience is invited to observe and interpret the hidden thoughts of people listening and pondering and plotting. There is a thirteen second-long scene that starts with silence and fades into the jazz background of Barley’s party, that is nothing but Connery sitting and thinking. The scene is replayed later as part of the montage of how — Spoiler Alert! — Barley methodically betrayed British intelligence to save Katya’s life, but it is first introduced to the viewing audience as quiet, impenetrable thought. Not too much of it. Not a spinning camera rotating around his head to give us a high-velocity impression of how fast and frantic his thoughts are. Just thirteen seconds that start silently and transition quickly. It’s a scene — barely a scene, a moment — I love, again, because of its relationship to the source text. It is a filmic, actorly translation of a key chapter break in Le Carré’s original. Which brings me to the heart of the adaptation. It’s difficult to know exactly the timeline here, but this 1990 film must have been written by Tom Stoppard concurrently with either the original production or the eventual 1994 revision of his 1988 play Hapgood, a play about spies. Stoppard has long been a structuralist, and the screenplay reveals many organizational and presentational touches that provide flourishes that help make the film fun to experience. To make it a story about storytelling, whether that be recordings or interviews or polygraphs or letters. But the script, despite many alterations, remains extraordinarily true to the book, to my mind. There’s a remarkable fidelity of language and phrase, while at the same time incorporating dozens of tiny touches that feel like the result of research. While a bit where Katya starts to write the word “wrong” and spells it “WORNG” before crossing it out seems disingenuous, a moment where she laughs at the common term for the short summary that appears on a dust jacket, the “blurb”, feels like a real found instance of cross-cultural incompatibility. 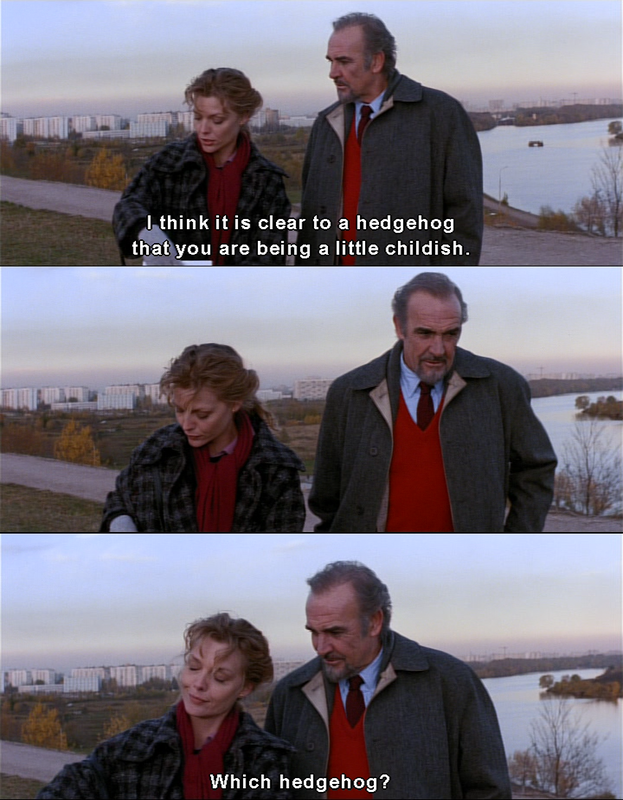 As does the extra-textual incorporation of the idiom “It’s clear to a hedgehog“. Schepisi definitely included scenes simply because he was in Russia, given unparalleled permission to shoot. The shot of the mosaic art in the Moscow subway serves no purpose except to shock the viewer with the fact that this isn’t, actually, a museum, but a way station. The shots of the shopping center where Katya buys shoes are there to highlight the sociopolitical reality of her situation and to enlighten the audience as to the truths of glasnost, but also because, man, that’s a really nice mall. So we might as well find a scene that could be tweaked to take advantage of showing off the local architecture. ornamentation outside the hotel is featured. These moments are nice pieces of travelogue and opportunity, but they are mildly indulgent, particularly in contrast to the amount of information and exposition that needs to be presented and absorbed. Or perhaps they are a necessary antidote to a script that is full of tiny pieces of spycraft and poltiics and character establishment. Janet Maslin accused the script of being so dense that it “violates the most basic precept of bringing works of fiction to the screen: they must be freestanding. No audience should have to do its homework in order to watch a work of popular entertainment.” I disagree with her, but even I have referred back to specific footnotes from the source twice in this reaction. She found one to require the annotations of the other; for me, while there is interplay to be found between the two versions of the story, the film version stands well on its own. Yes, it demands the viewer watch the actors who are listening and not just the actor speaking, but when one does so, one is rewarded by evidence of top craftsmanship on every level. NEXT: Mystery Men and Quills hadn’t quite knocked the, ahem, Shine from Geoffrey Rush’s reputation, and little Danny Radcliffe makes his big-screen debut. + Dirk Wickenden‘s analysis of The Russia House soundtrack. + More Moscow subway art. Scroll to the bottom for Kievskaya, which I believe is the station featured in the film. + The New York Times reports on Russia House becoming a best-seller in Russia. 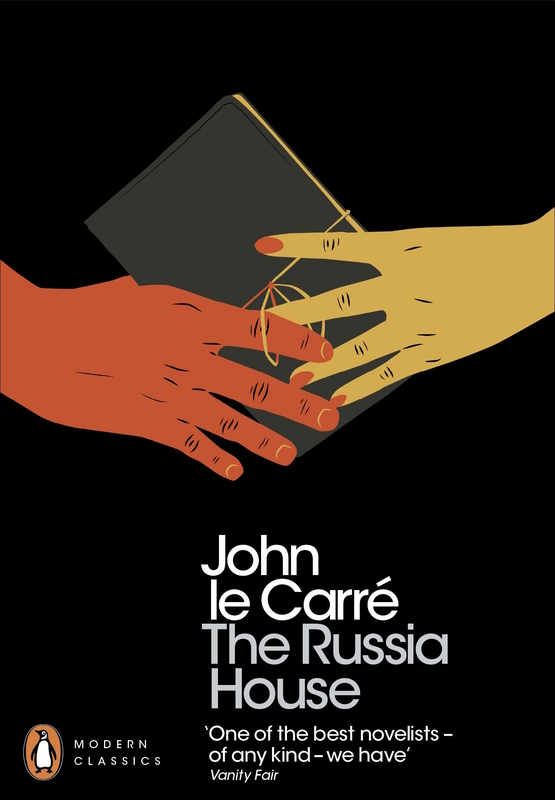 + In a 2011 summary of Le Carré’s adaptations, Russia House is listed as perhaps the most successful by Terrence Rafferty. + PS: Apparently dingoes eating babies just isn’t funny any more. So, there you are.